Jo S: A plump and tasty list this week promises some luscious delights with some of my regular favourites being joined by some very tempting new delicacies. 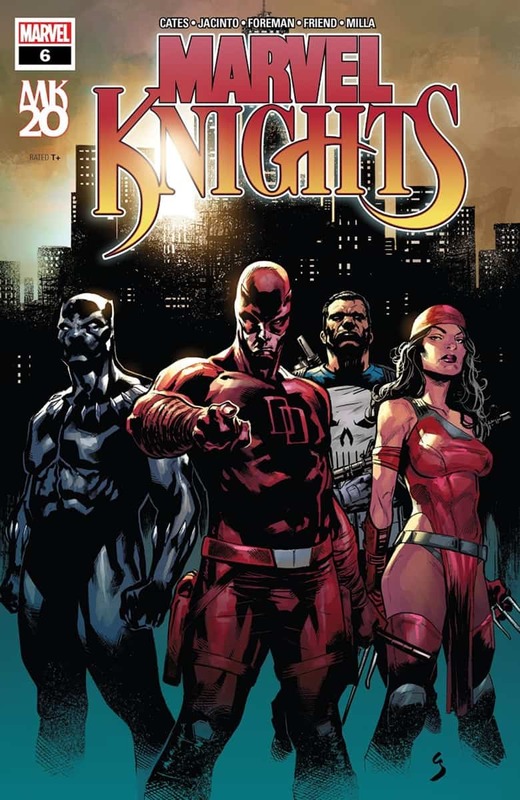 Starting with ends; three titles in my list are closing a story arc: Marvel Knights: 20th #6 promises that the big secret that has been confounding our list of recently reawoken heroes will finally break open. Cates and his team have done a great job of keeping the intrigue alive in this series and, though I’ve found the variety of artwork more inconsistent than ideal, I’m excited for the denouement. Infinite Dark’s sci-fi chops have been evident throughout this intelligent, deep space mystery: the sabotaged AI theme has been covered before but Ryan Cady has kept it fresh with a focus on the unreliability of the mind and the notion that it is impossible to tell sometimes whether the monster is inside or outside one’s own consciousness. My ‘last last’ is Skyward: my concerns that the low-gravity concept that founds this story would become an annoying gimmick have been completely dispelled as Joe Henderson weaves a detailed tale of a society forced to restructure following a planet-wide change to basic physics, seen through the eyes of the daughter of one of the architects of the change. Willa is such an appealing character and the art in this series so graceful, I will miss this on my list and hope that it will make a return. With three titles about to drop from my list, I’m starting already to look ahead at what might take their place in the week in coming months. Kieron Gillen’s new outset Peter Cannon: Thunderbolt #1 would probably not have caught my eye were it not for my soft spot for Caspar Wijngaard’s art. Wijngaard stole my heart with the beautifully dreamy Angelic series and I look forward to seeing his work in the superhero genre, especially recalcitrant Cannon, who seems doomed to save a world he loathes. Picking up a new arc this week is Ice-Cream Man, though its slightly sporadic appearance and discrete stories tied by a theme rather make the arc concept irrelevant here: each issue is almost a one-shot. I keep trying to give this up but each time I do, Prince, Morazzo and O’Halloran tempt me back in once again with exactly the right mix of gruesomeness and melancholy. The headlines this week for me will certainly be Heroes In Crisis #5 and West Coast Avengers #7, each representing the startling level of quality achievable at each of the Big Two. 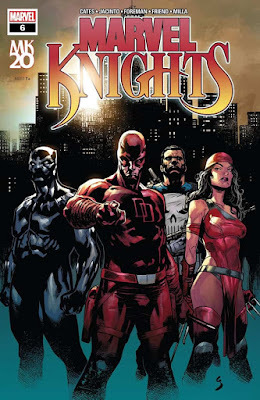 The former has kept me glued throughout, and Kelly Thompson is my superhero of choice right now - West Coast Avengers balances all the right amounts of action, humour, drama and real life in one perfect package.